If you’re a residential property owner or homeowner in the Fort Lauderdale area and need dependable garage door installation and repair services, the specialists at Coast 2 Coast Garage Door can help. We offer a diverse selection of residential garage doors and garage door openers and will help you choose the best system for your garage. 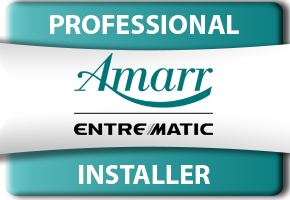 As a leader in residential overhead door installation, our certified professionals have the experience and tools needed to handle all of your garage door needs. From small repairs to ground-up installations, we do it all! Loose cables: If your garage door’s cables are no longer tense, then it’s likely that the spring — not the cables — has been damaged. Difficulty opening: Torsion springs are responsible for supporting your garage door’s weight as it opens. A door with damaged springs will be heavy and more difficult to open than normal. 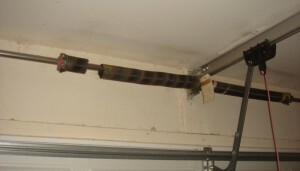 Visible gap: Your garage door springs should never have visible gaps. If they do, then the springs have either broken or are close to breaking. Shuttering: Properly functioning springs should allow your garage door to open and close with ease, but damaged springs will cause the door to open in an uneven, jerking motion. 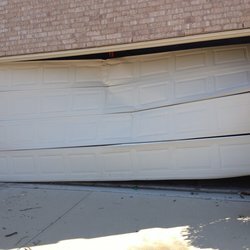 Falling: Does your garage door fall to the ground much faster than it once did? If so, then you need to call our garage door repair experts as soon as possible. A door that falls quickly is a safety hazard, and you don’t want anyone to get hurt by an unexpectedly falling door! Coast 2 Coast Garage Door’s team of experts will repair or replace broken springs quickly and efficiently, so give us a call if your garage door is exhibiting any of the signs above! Irreparable damage to your garage door does not automatically necessitate a full door replacement. Depending on the extent of the damage, only certain sections may need replacing while others can be left alone. Our experts will replace only affected sections to save you time and money! To learn more about our selection of replacement panel material, color, and pricing, contact our garage door specialists today. If your current garage door has been severely damaged from the unpredictable Florida weather, or you’re ready to upgrade your garage door system to a more efficient model, our experts can help! We offer a great selection of residential garage doors for you to choose from. 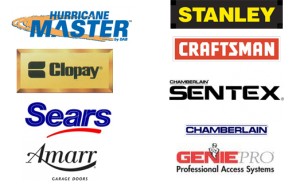 Our garage door installation specialists use only the most trusted manufacturers, so you can rely on your newly installed garage door for years to come. We also offer commercial garage door installation services for business and property owners, providing preventative garage door solutions that meet your individual needs. Whether your current remote or keypad system isn’t working properly or you simply don’t have one yet, Coast 2 Coast Garage Door in Fort Lauderdale will help repair or install a new garage door opener for your home. 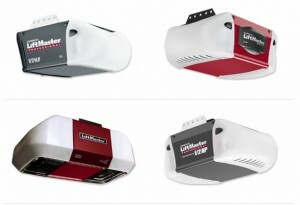 We offer a diverse selection of residential garage door openers to choose from including the LiftMaster Model 8550 and the LiftMaster Model 8500. When you contact our specialists, we’ll work with you to thoroughly understand your garage door needs and expectations and will recommend the best garage door opener for your circumstances. Trying to install a new garage door on your own can be complicated and dangerous. If you’re unfamiliar with the proper garage door installation techniques, contact a specialist to get the job done right. At Coast 2 Coast Garage Door, we value every homeowner’s safety, which is why we offer free garage door inspections and free quotes to our clients across South Florida. For garage door installation and repair experience you can trust, contact our professionals today!